Developed by Bryce Carlson and made famous in his book Blackjack for Blood (published in 2001), the Omega II counting system is what we would term an intermediate card counting system for use in real world casinos. What this means is that it is a more complex strategy than a simple system such as Hi Lo, but that when used properly, it can have a very positive effect for the user with a high degree of accuracy. Like most counting systems, it is based around a card count of 0. A negative count means that there are more high value cards in the deck, a positive count meaning that lower cards predominate. 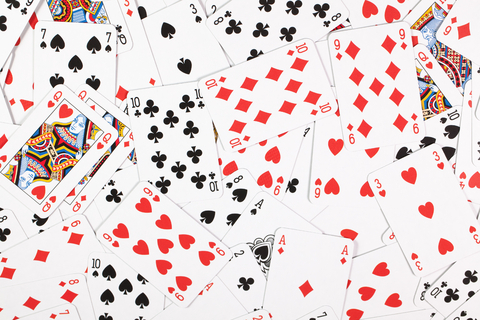 As the game progresses your count will change dependent upon the value of the cards that you see and the number of cards remaining in the deck. With the Omega II counting system, you should place low bets every time the count total is low or negative and every time it is high or positive, you should make larger bets. However in real world casinos, you must use this judiciously. While card counting is not illegal, it is frowned upon and you may be asked to leave the casino if suspected of using any counting system in play. The Omega II counting system is best used by more experienced players who have already mastered a simpler counting system, such as Hi Lo.